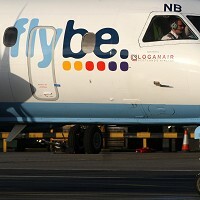 UK regional airline carrier Flybe has launched seven new services as part of its 2011 summer schedule. People travelling to France will be able to fly from Southampton to places including Clermont Ferrand, Pau and Beziers from May 21, 25 and 27 respectively. The new flight routes are a part of the seasonal services that will operate until late September. Travellers planning a summer getaway should ensure they have the most suitable travel insurance to fit their travel plans. Flybe will also introduce flight services from Edinburgh to Knock in western Ireland from April 19 as well as connect Exeter to Dusseldorf in Germany from April 23. Travellers can also catch flights from Manchester to Derry in Northern Ireland from May 19 and from Manston airport in Kent to Belfast City on May 26. The airline will also continue service from Jersey to Nice and from Belfast City to Guernsey. Mike Rutter, Flybe's chief commercial officer, said: "We are delighted to be able to offer passengers more than 200 routes this summer and to be providing affordable quality flights to such a broad range of desirable destinations." Flybe's summer schedule will consist of up to 3,195 weekly flights operating until October 30 2011.